The new construction replaces the ad-hoc church inside the town that burned down in 2010. 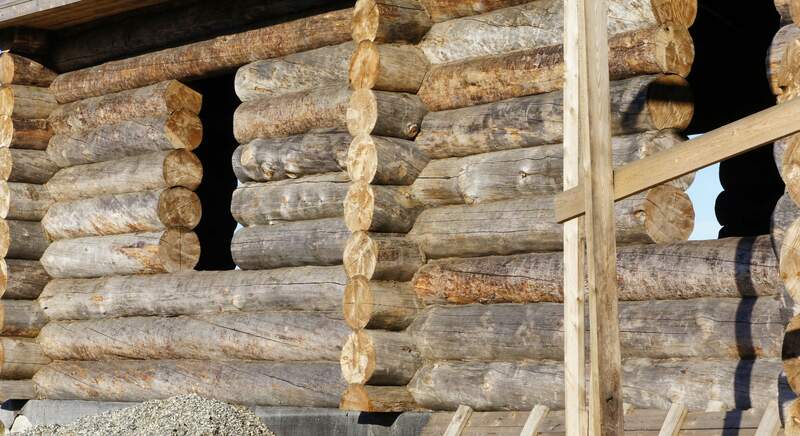 It is being built using solid timber construction techniques, requiring precision carpentry work to ensure tight fit between the main structural elements—the horizontal logs. Except for the roof, no nails or other means of fastening are being used. Architects from Petrozavodsk—a city in a district with a wooden architectural heritage—are behind the construction. The timber in the construction also comes from the Karelia region (1). The church is located on the hill above the town in what appears to be a traditional location, visible from the park in front of the town hall. Logs are fitted tightly together and the remaining gaps are filled with grass or moss. The craftsmanship apparent in the emerging construction radically differs from most of the buildings in the town that were built using industrial methods of varying sophistication. Industrial construction does not require skilled craftsmen, but can be based entirely on unskilled labour. The town of Nikel was founded in the 1930’ies, and was by early visitors described as attractively located on the wooded slopes of the Petsamo Mountains (2). Contemporary Nikel sits in a landscape marked by dead vegetation and grim industrial structures. It is a company town belonging to a conglomerate with operations in different part of the country. For the company, the processing plant in Nikel is a minor operation, and in the economic dynamics in the recent past and present, the future of the town is uncertain. Even before it is completed, the church looks as if it has always been there. It seems to anchor the city in a new way. Located in this brutal landscape, it harkens to a grand Russian past, acting as a bulwark against the dystopia of the physicality of Nikel’s infamous metal smelter. 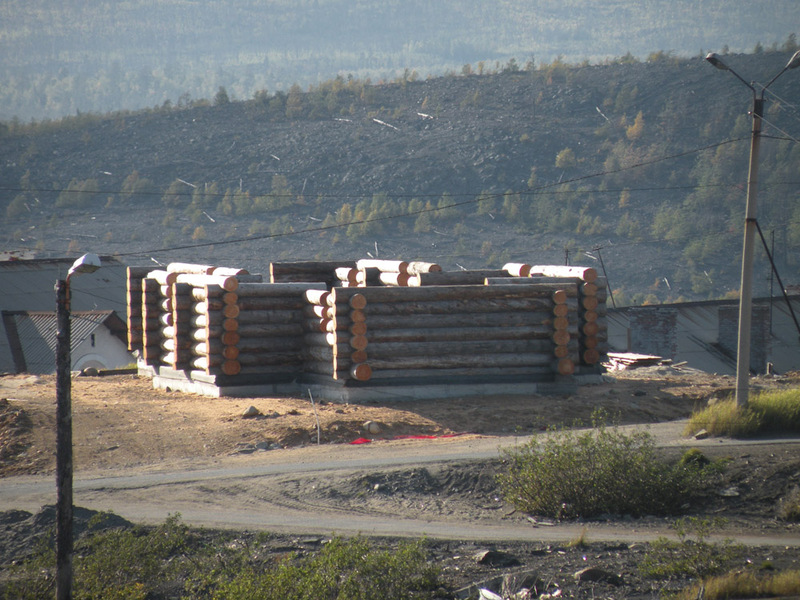 The painstaking emergence of the wooden structure over several years provides a reminder of the re-constructing of identity so crucial to Nikel as a town de-industrialising in the Russian North. Never underestimate nostalgia in thinking about the future.